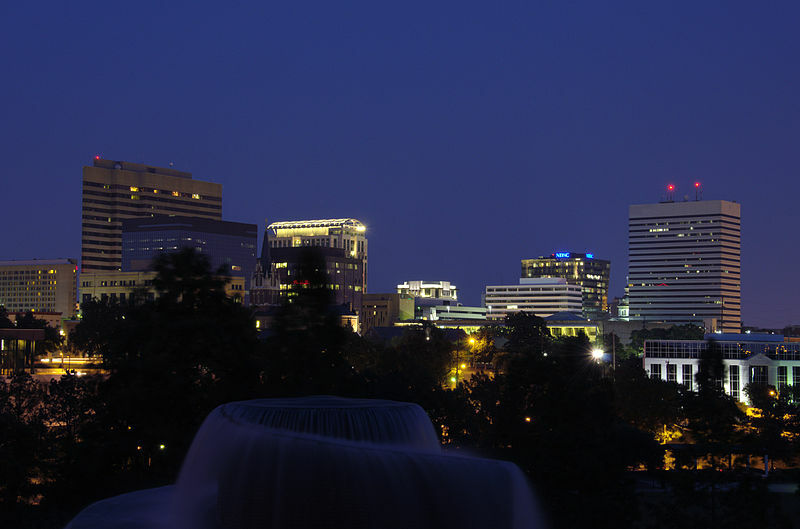 There are plenty of nightlife scenes in Columbia, SC that are guaranteed to lighten your mood. It doesn’t matter if you’re a college student looking to escape the books or just another local looking for a good time. Columbia has some great hangouts that feature amazing live music and entertainment throughout the week. Whatever it is you’re looking for, we’re sure you’ll have a good time around the Columbia square. All you have to do is check out our list of nighttime spots around town. This spot used to be home to a warehouse and train depot, but has evolved into a fun place for nightlife in Columbia, SC. This is the best spot in town to run into Columbia’s favorite bars, clubs, restaurants, live music, and other forms of nightly entertainment. Everyone who visits falls in love with this wildly diverse center for fun. We believe it’s because of the limitless options for food, drinks, and entertainment. On top of that, the college community always adds a special vibe to the area. The Flying Saucer Draught Emporium is a more than noticeable beer bar with a large selection of your favorite drinks. This bar is one of the large chains on the Vista strip with an impressive menu and great seating arrangements. World of Beer offers locally and internationally famous beers from the tap. This popular franchise is popular with college students and tourists for its live performances and awesome environment. You can also grab a good seat outside where you can watch people walk up and down Gervais Street. Head over to Vista Union in case you’re looking for a more casual feel of the nightlife in Columbia.This Columbia bar and grill offers daily specials on classic bar drinks. Vista Union also has a good selection of bar games for you to enjoy with a group of friends. There are also open mic Wednesdays which is certain to lighten your mood and help you forget about your worries. If you’re looking for a judgment-free zone, the Art Bar is definitely the spot for you. The Art Bar has an open karaoke night on Wednesdays, live music, and dance parties on Friday nights. The place is also decorated with fun lights and art that will send off some good vibes from the friendliest bar in town. Another Soda City night spot is the Woody. This Columbia nightclub features dancing, cocktails, and a radio station broadcast. The Woody is popular for playing a wide range of music genres that keeps the crowd having fun and ready to dance. You’ll find out how much music can really bring people together at this hot spot. The Social Bar and Lounge is more popular amongst the younger Columbia community. This nightclub features electronic music and neon lights that attract plenty of college students. It also offers a VIP balcony, cocktails lounge, and a rustic patio where that hosts the best local bands. Jake’s on Devine is one of the most unique and well-loved bars in Columbia. The bar has over 30 different craft beer options to sip on and a great energy for college students. All you have to do is follow the crowds and the thumping music and you’ll end up at one of the most youthful night spots in Columbia. Wet Willies has one of the most exciting nightlifes in the Columbia area. The bar offers plenty of daiquiris and other good tasting alcoholic beverages. This casual spot also has some great happy hour specials on food and drinks. Bourbon is certain to warm up your nightlife in Columbia. This whiskey bar specializes in bourbon, whiskey, craft cocktails and the flavors of the Louisiana Bayou. Bourbon has the largest whiskey selection in the state of South Carolina. This is one of the Columbian night spots that closes a bit earlier but is worth the early visit. Grill Marks Definitely served the largest portions of American food you will find on the strip. It offers plenty of unique hamburger selections and serves some mind blowing milkshakes. Grill Marks is also popular for its involvement with the community and the happy hour specials on drinks and food. Mr. Friendly’s is one of the best spots in town to enjoy a more “grown-up scene”. It’s a popular spot to enjoy a private dinner along with your date. This restaurant does a fine job of creating a high-end environment for romantics and small formal gatherings. This Mexican-inspired restaurant offers the best late night tacos in town. Cantina 76 always has a monthly special worth trying and alcoholic beverages that go perfectly with your order. This spot is child friendly and offers spots around the bar where you can have a drink with a small group of people. This local Columbia brewery adds a special touch to the downtown area. Not only does it craft some fine in-house beers, Hunter-Gatherer also serves up some fresh pizzas, salads, snacks, and other tasty treats. It’s a great spot to enjoy a night meal and a drink at a historical Columbia landmark. Are you looking for a more elegant and relaxed environment? Gervais & Vine has a wonderful wine selection that goes along perfectly with the tasty dishes. Everything about this spot is elegantly placed to give you the best romantic scene in town. Gervais & Vine also has a bar and outdoor seating in case you’d like to enjoy a different scenery. Let’s move on to a different form of nightlife in Columbia. Having a great time at night isn’t just about drinking and dancing, you can also visit one of Columbia’s theaters for a show. There’s always fun shows to experience a different side of the night culture in Columbia. The Trustus Theater puts on new plays and musicals that make the nightlife in Columbia more entertaining. This historical spot has a rustic view that will really set the mood for the night. This historical theater is dedicated to encouraging and developing musical, vocal, and dramatic talent in Columbia. The Town Theater puts on amazing night shows for you to enjoy throughout the year. It might not be Broadway, but the passion of the volunteers brings out the best of every event. The Nickelodeon Theater shows first-run, indie and classic films and hosts plenty of spectacular events throughout the year. This popular night theater has also experienced plenty of growth over the years and continues to attract more viewers.